They knew it was needed; they knew it was wanted; they knew God was calling them to do something about it. 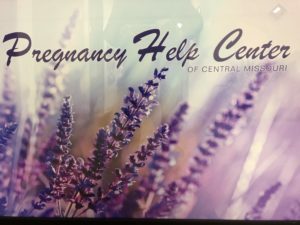 So, a group of dedicated men and women came together to start the Pregnancy Help Center of Central Missouri. The first annual banquet was held at Capital Ritz Banquet Center on October 13, 2011. That launched the mission of PhC to support women with unplanned and crisis pregnancies. The Center opened its doors on March 12, 2012, at 1011B Southwest Blvd, Jefferson City. The local and state Knights of Columbus donated an ultrasound machine and PhC began providing scans. This technology along with counseling and other services have helped thousands of women make the choice for life for their babies. After four years at the first location, PhC outgrew the space and moved to its current address at 1760 Southridge Drive in March of 2016. PhC has continued to grow and add additional services. Transportation is often a challenge for women needing the pregnancy center’s help. To help with this issue, PhC purchased a mobile unit in May 2018 to take pregnancy tests and ultrasounds to surrounding communities. In 2019 PhC started a program for Sexual Risk Avoidance Education which is designed to give youth information and skills that are intended to promote healthy living and avoid negative consequences. PhC is totally supported by donations from individuals, churches, and organizations. It is through this financial and prayer support that the center is able to provide much needed services to mothers and their babies.